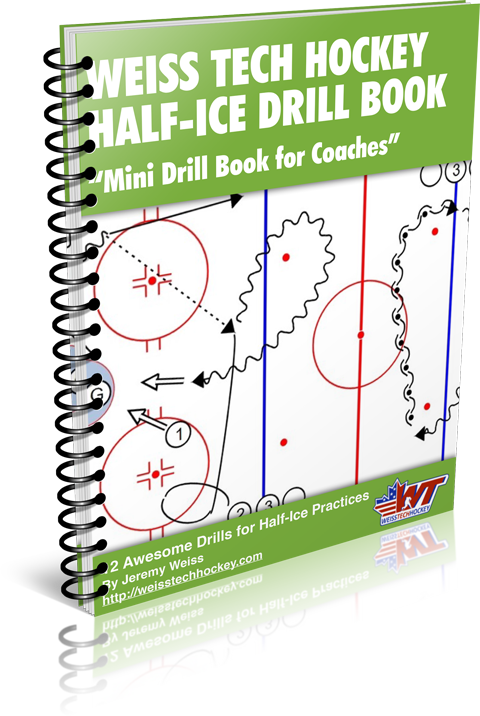 Synchronized Passing is a simple, yet highly effective, hockey passing drill that will help players to develop their ability to maintain proper hockey passing technique while in motion. 1. Players skate side by side, giving and receiving passes while in motion. 2. 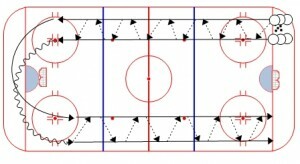 After skating behind the net, players crisscross so that they work both forehand and backhand passing. 3. Start slow, then work up to full speed. NOTE: Start with your players very close to each other. 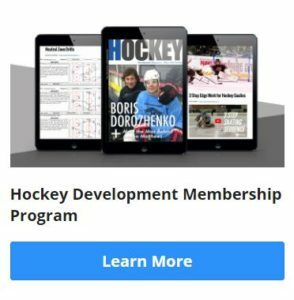 As their skill level improves, increase the distance between each partnership, and the speed at which they skate down the ice.